Email is still the main conduit for these threats we all face daily. Click IT uses a newly adapted industry standard that makes your email better and safer. The methodology implemented helps prevent theft using incoming emails using spoofing and phishing, while also improving delivery rates where your outgoing emails don’t end up in others’ spam filters, or worst, not delivered at all. Also, the method we implement shuts down unauthorized mail client usage, gaining control over the use of your domain. The work performed will help improve email delivery rates, safety and protect your privacy. Email Authentication is a necessity today in order to help protect a domain used for delivering email, as well as to assure that any email recipients and senders are protected from forged (spoofed) and phishing email that might be targeting your domain. Email Authentication also helps gain control over where the domain is being used, and from what servers email is being sent from. Business Email Compromise (BEC) phishing scams, which include wire fraud transfers, IRS W-2 scams and other forms of highly targeted impostors, is on the rise at astounding rates. Estimated costs of BEC phishing scams are at $3.1B and rising according to recent FBI data. With these scams, savvy cyber-criminals are taking the time to harvest personal information to target carefully selected employees with a spear phishing email designed to get access to confidential business information or transfer money into an unknown account. Email is still the main conduit for these threats we all face daily. Simply because it’s difficult to tell if an email is real or fake, thousands of computers and networks are infected everyday, even with anti-virus software installed. 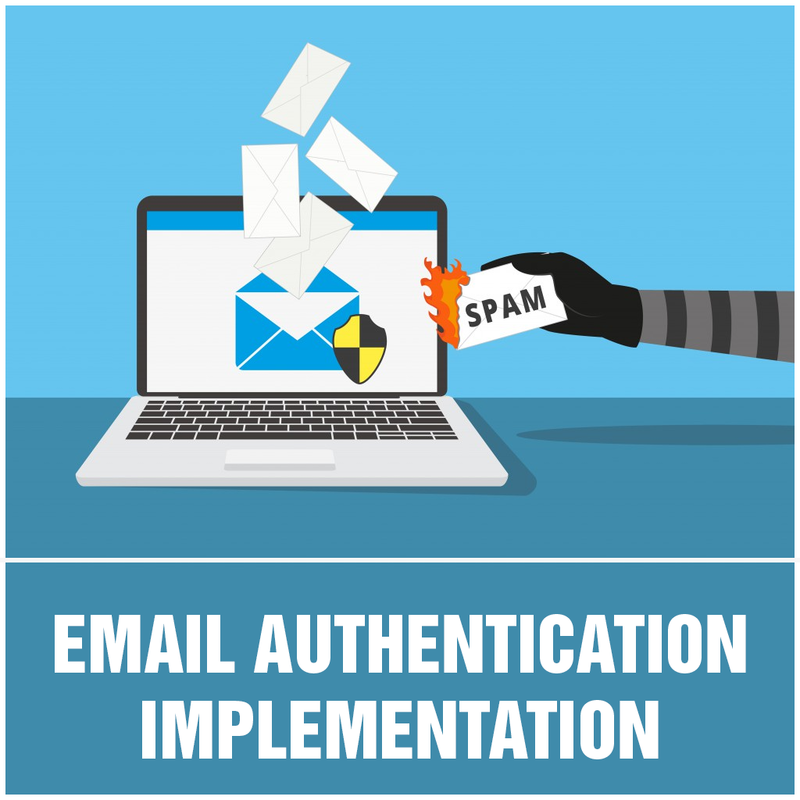 To solve this very real problem of email being a conduit for fraud, scams and theft, Click IT implements technology (called DMARC) which offers some new features that makes email easy to identify. It does so by creating a link between a domain and a piece of email. All of DMARC’s features are aimed at making this link possible for all email domains on the Internet, regardless of whether or not the domain belongs to a fortune 500 company or an individual citizen. See https://clickitemail.com/email-authentication/ for more information and a video.